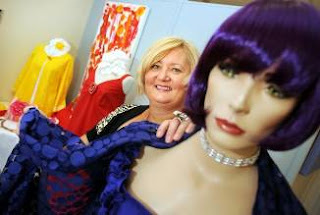 PLUS-SIZED fashion has found a new home, with the opening of Bent Creations ladies fashion boutique in Graceville last week. Michelle Bent, the designer and founder of Bent Creations said her label provided stylish designs and bold colours, something she found often lacking in plus-size ranges. “Rockman’s, David Jones, and other specialty retailers have seemingly reduced plus-size fashion ranges, leaving me in many instances no option but to design and make my own clothes,” she said. A 14-week stint spent selling her designs at the Southbank markets was so successful Ms Bent decided to open her own store. * The store is open 10am-5pm, Monday to Friday and 9.30am-4.30pm on Saturdays. For after hours appointments, phone Michelle Bent on 0402 821 883.